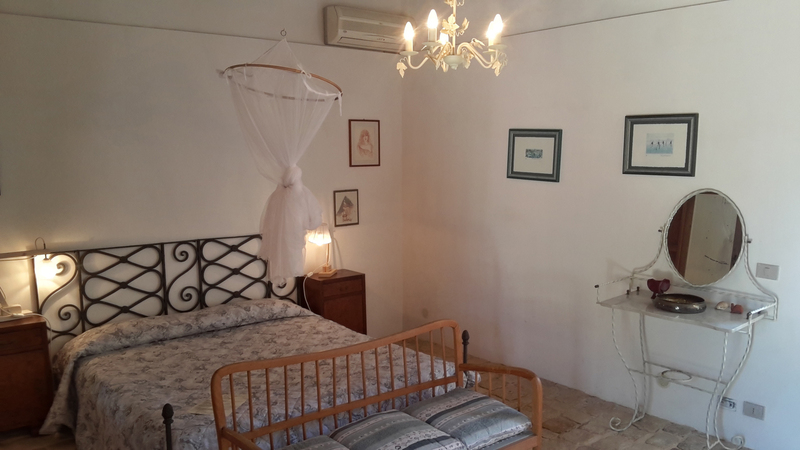 Our guest rooms have a private bathroom and independent access, spacious, with abundant light, furnished with the love of detail for the traditional style that renders them unique. 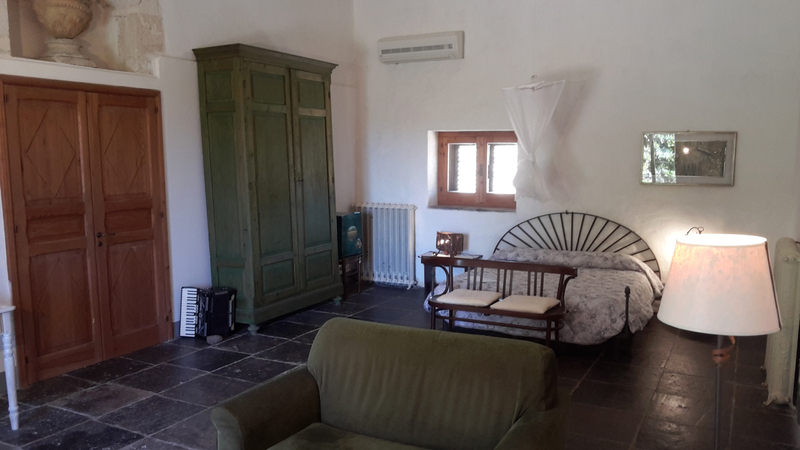 Spacious living room with piano and fire place, library, cobble stone courtyard with barbeque, garden with breakfast area, whirlpool bath, dining room with antique brick oven, free Wi-Fi in every room. 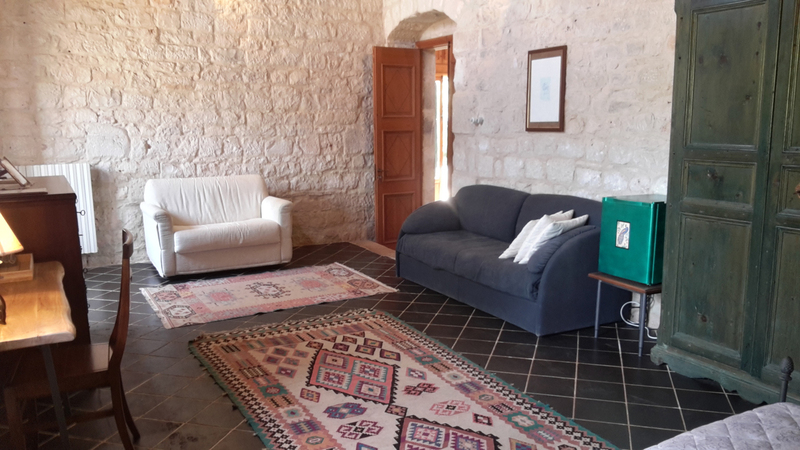 (about 30 sqm) is a gem that looks onto the baglio( courtyard) on one side and a small private garden on the other side.Antique stone floors and finishes evoke the traditions of past centuries. 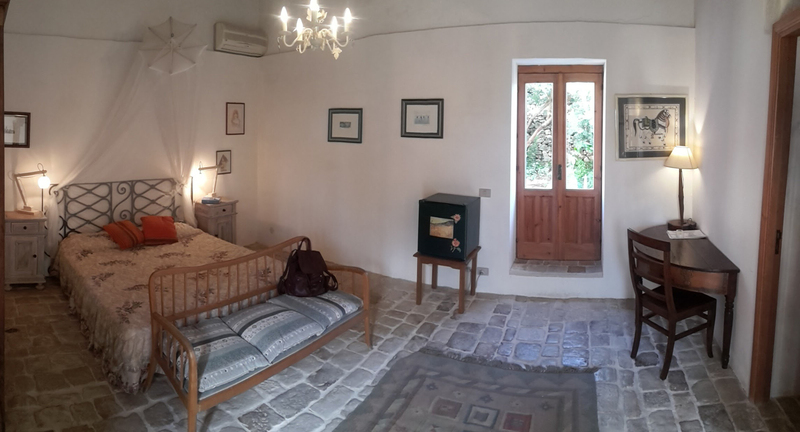 The bathroom is spacious, bright and comfortable. 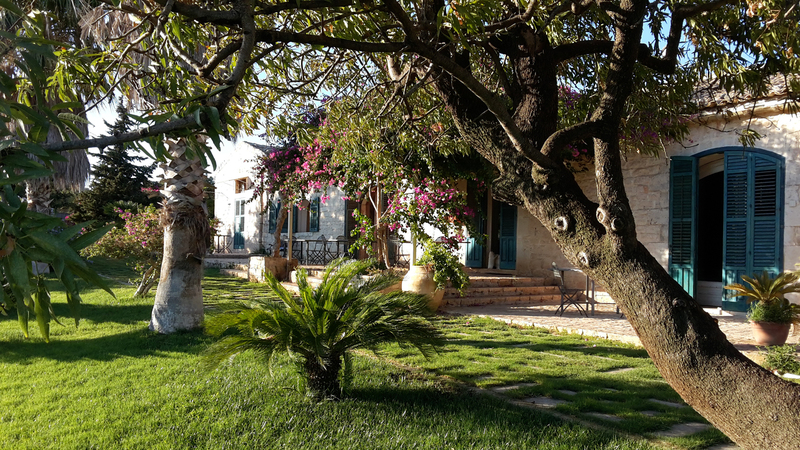 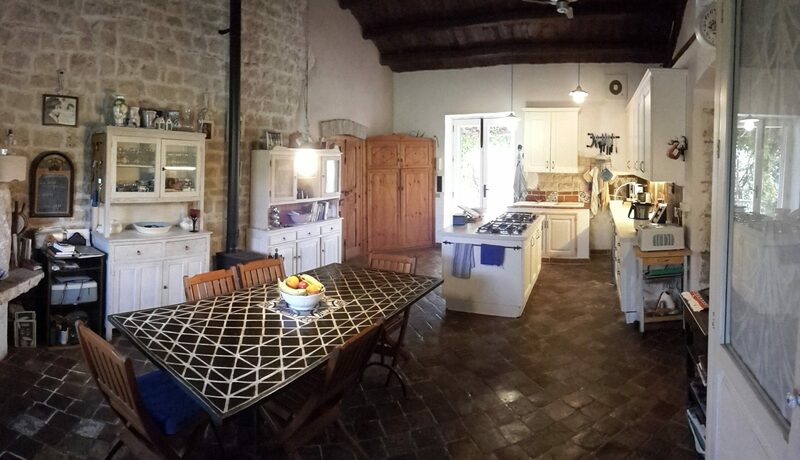 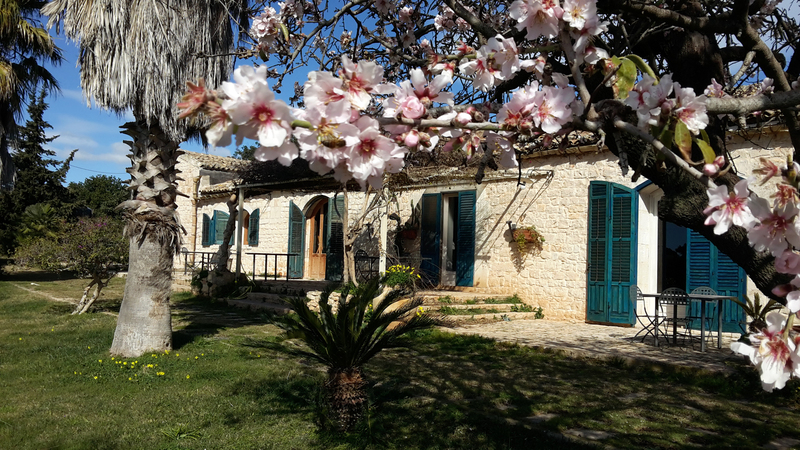 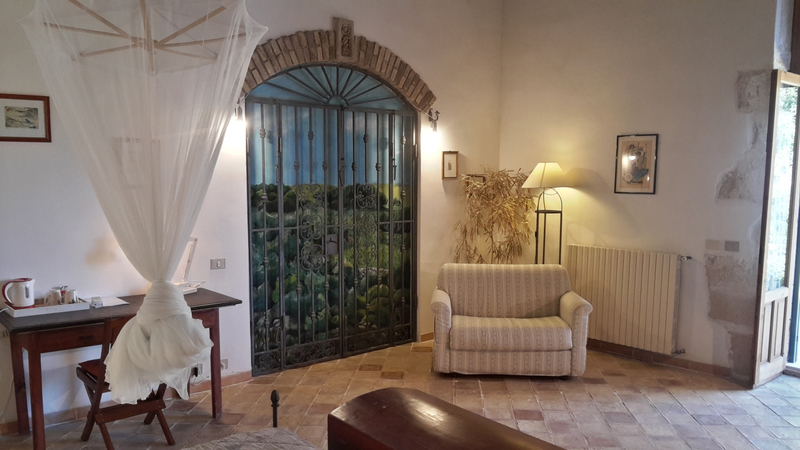 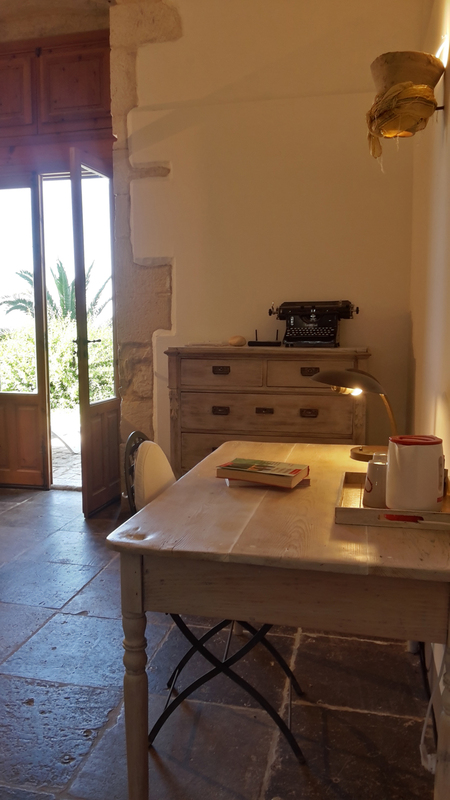 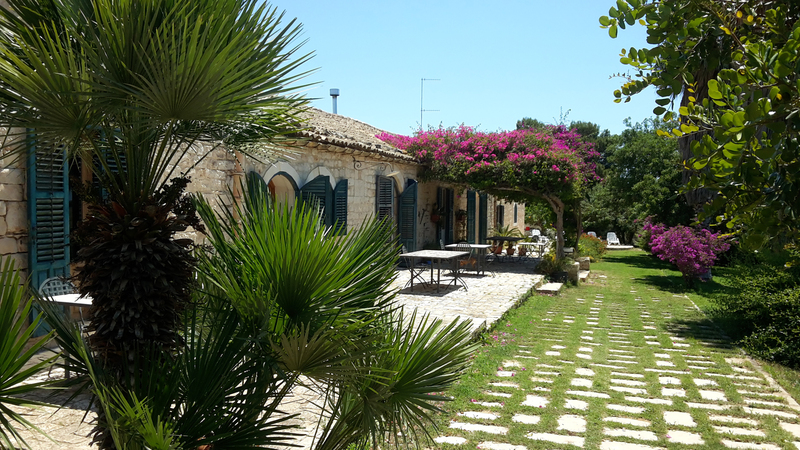 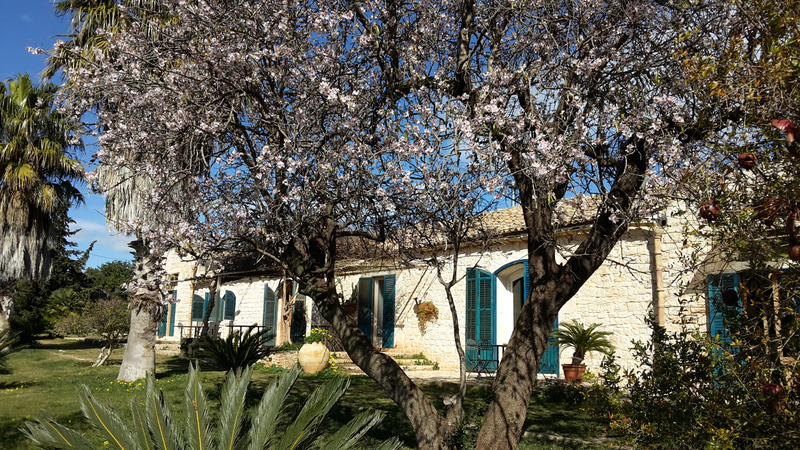 (about 45 square meters), located on the main façade of the farm, enjoy a magnificent view over the garden, the sea and the hills of the countryside of Modica. 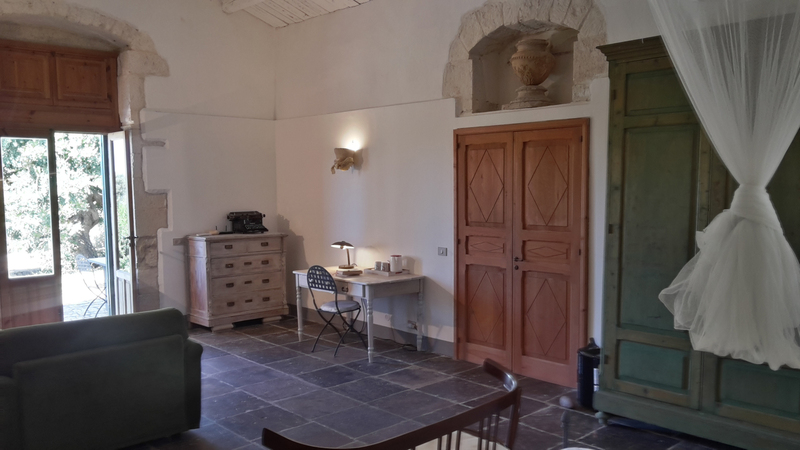 All restored with fine antique materials offer space, bright and comfort. 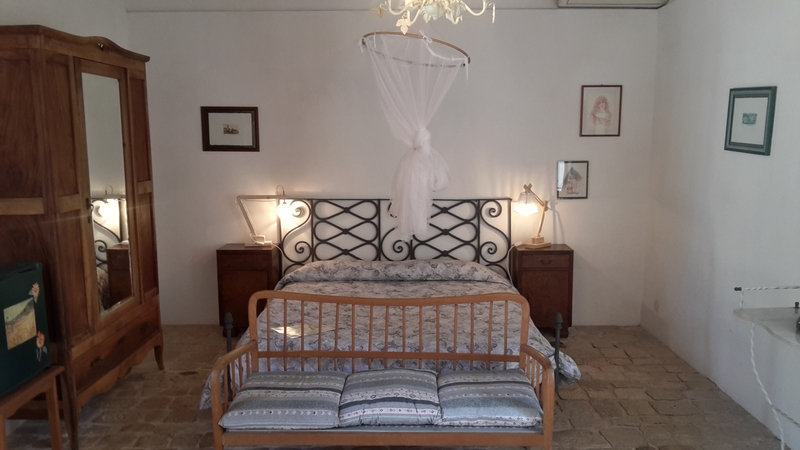 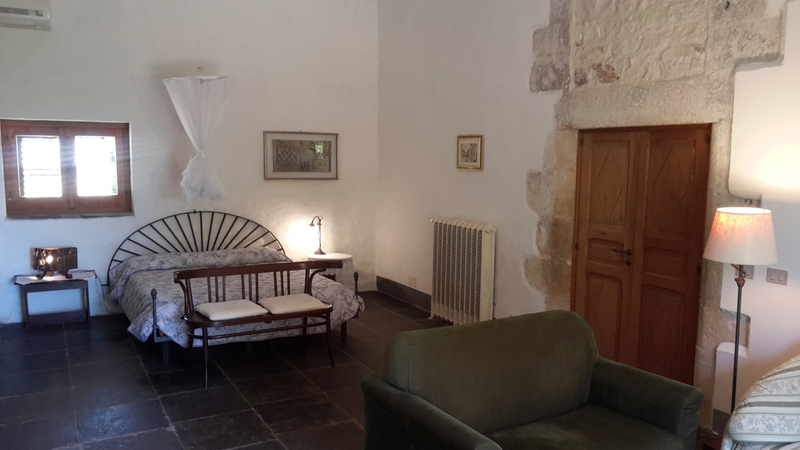 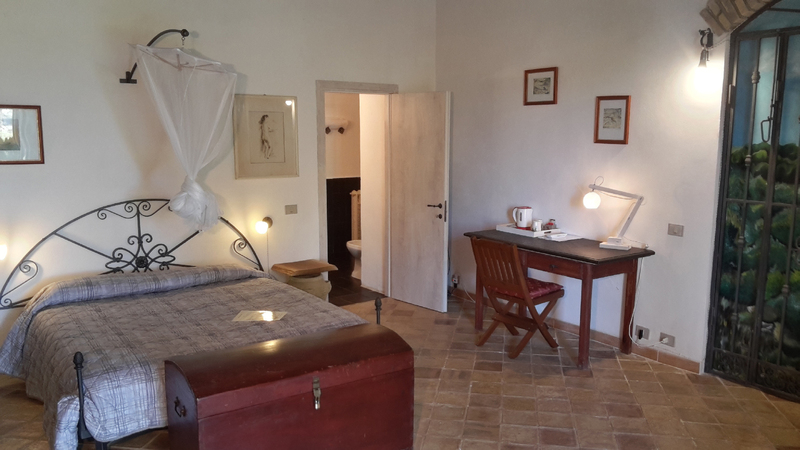 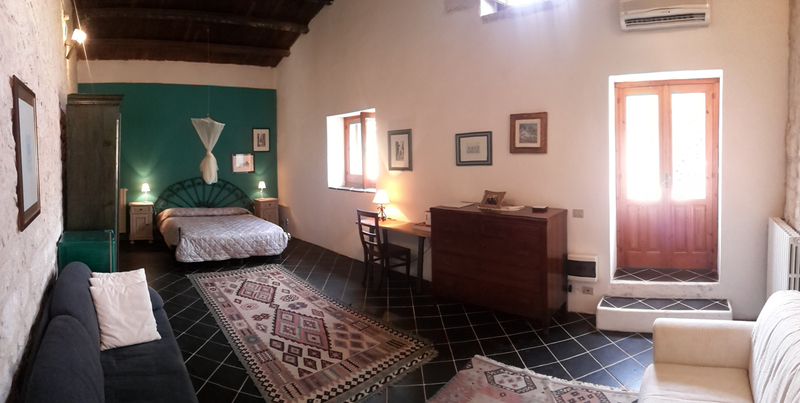 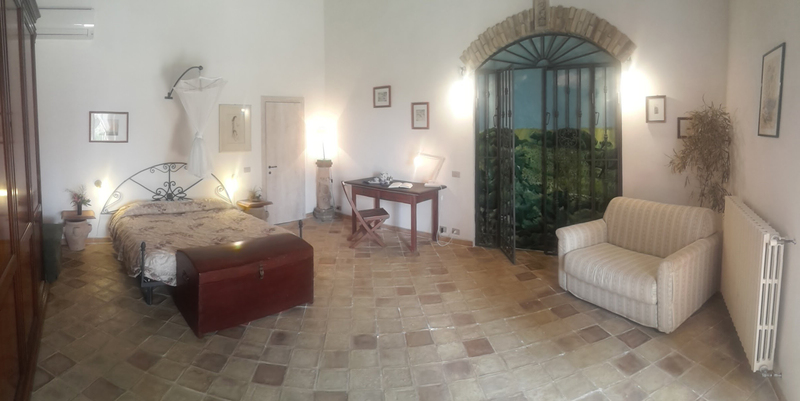 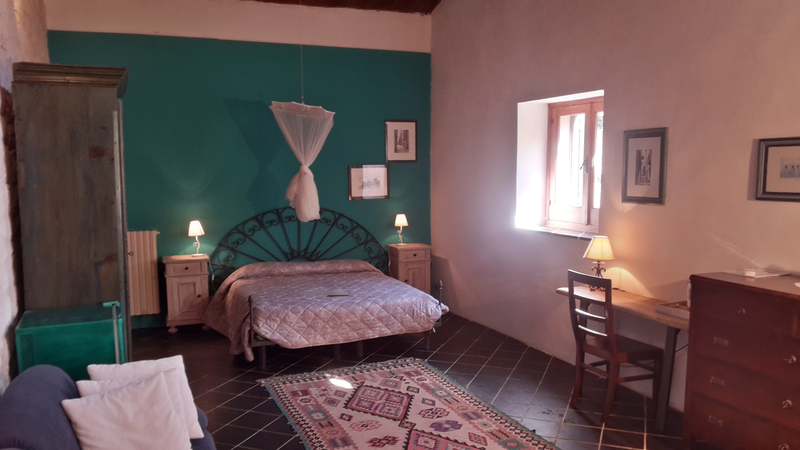 (40sqm), with its high ceiling and stone walls facing , lit by torches from 19th century carriage which give it an atmosphere of past times, is ideal for a relaxing stay. 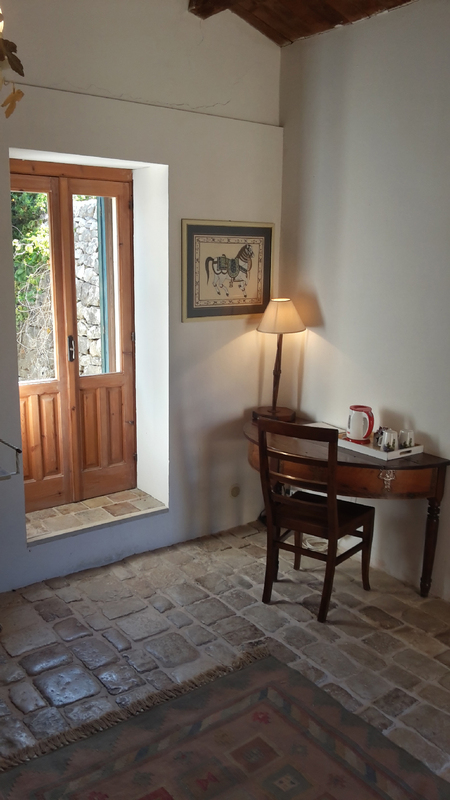 Looking out onto a small private garden, surrounded by dry stone walls typical of the area, where you can spend moments in total privacy.